Take advantage of the benefits of Fluke Connect® by seamlessly gathering and sharing inspection results instantly – as simple as adding a Fluke Connect WiFi SD card. Get started saving time and increasing productivity now. Learn more at flukeconnect.com. 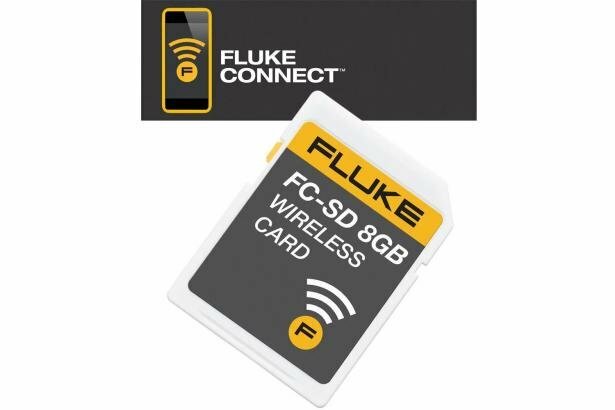 The Fluke Connect SD Card is only included with models purchased after April 1, 2014. The WiFi SD card is compatible with the following models: Ti90, Ti95, Ti100, Ti105, Ti110, Ti125, TiR105, TiR110 and TiR125.